Last fall shortly after Brian and I arrived home from our 7 month long Eurasian bicycle tour we promptly decided to purchase new front suspension mountain bikes. As of today I’m not exactly sure how we came to this conclusion? We don’t exactly live in a mountainous area. The truth of the matter is that the space in which we currently reside is known as one of the “Great Plains States.” Not exactly known for it’s mountain biking culture, although there is quite the following here and a surprising amount of active trails. Even though we’ve owned these bicycles for approximately 8 months, it’s only been the last eight weeks or so that we have been able to witness the sort of riding that these bike can accomplish. Starting much closer to home we explored places such as Battle Creek Park in near by St Paul and Carver Lake Park around one hours drive from the house. It’s been a tough learning curve but a lot of fun to ride your bicycle in a virtual wilderness. Learning to enjoy the suffering climbs and the twisty turning descents. 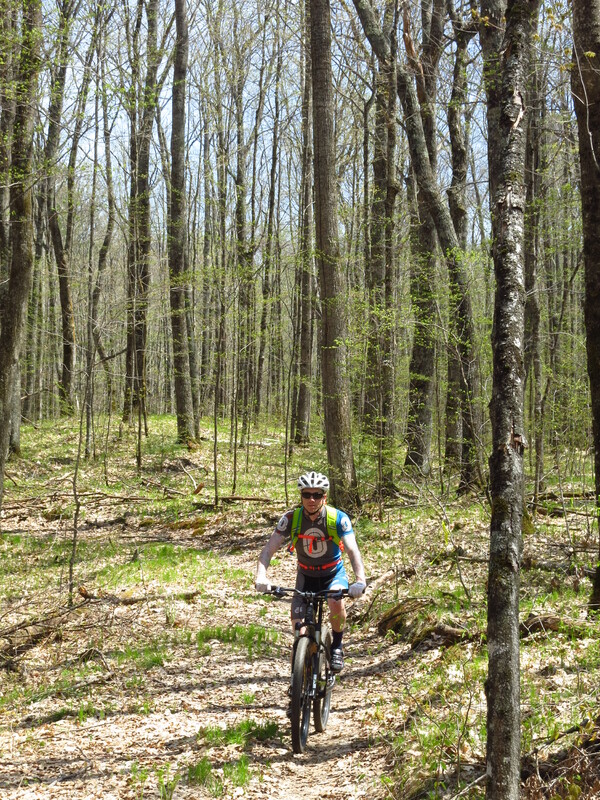 There isn’t much for mountains here but there are some hills and densely forested reserves that make for a beautiful and extremely enjoyable ride. So when our 7th wedding anniversary came upon us in May it only seemed natural to take that long holiday weekend and our new found passion on the road. 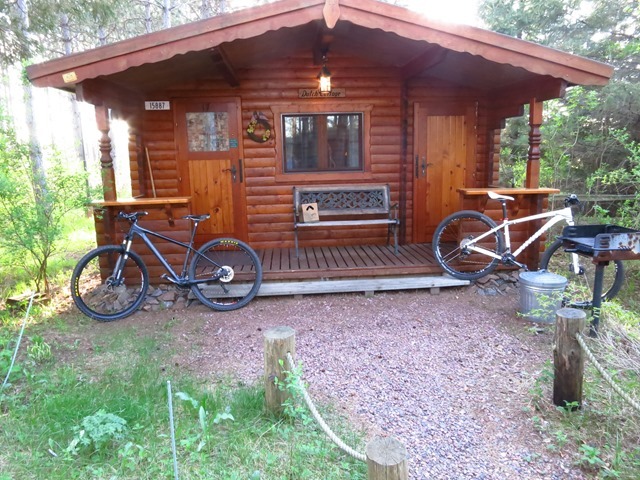 Rumor had it that a good place to go riding was Chequamegon National Forest located nearby to Hayward Wisconsin. There is supposedly something in the way of 300 miles of mountain bike trails. Everything ranging from single track, fire roads, gravel, and even a little tarmac. I say supposedly because there is no way I could actually prove there are that many miles of pathway in one long weekend. In reality we rode only a small percentage of the available trails, though we made sure to ride as many of the intermediate skilled single track sections as possible. Starting out Saturday morning we arrived in Hayward, but being unable to check in to the cabin Brian had rented for the duration, we promptly headed out to our first ride of the weekend. The Namakagon Cluster at the Namakagon City Hall Trailhead and Patsy Lake trail it was approximately 15 miles long. A long way to go for newbies and not a well ridden trail at this stage of the season. Cluttered with leaf litter for this last Fall it was a bit hard to follow at times but strangely beautiful as well. By the time we finished both of us were beat and ready for dinner and a soft bed. Sunday turned into a two trail day. Starting in the morning around 8 am Brian and I drove out to the Hayward Cluster and rode the Hatchery Creek trail, 8.9 miles long. 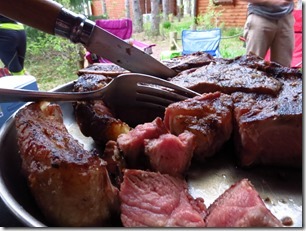 It took us a little under 2 hours and we were able to get back to the cabin for some lunch and a power nap before we were joined by some of our friends for even more mountain bike fun. Now we were six tackling the Mosquito Brook Trailhead/ Makwa Trail the total distance was 12.5 miles, I was total wasted by the end of this ride! Then came Monday morning and again we tried the Hatchery Creek Trail this time we only made it 4 miles before packing up and heading home. 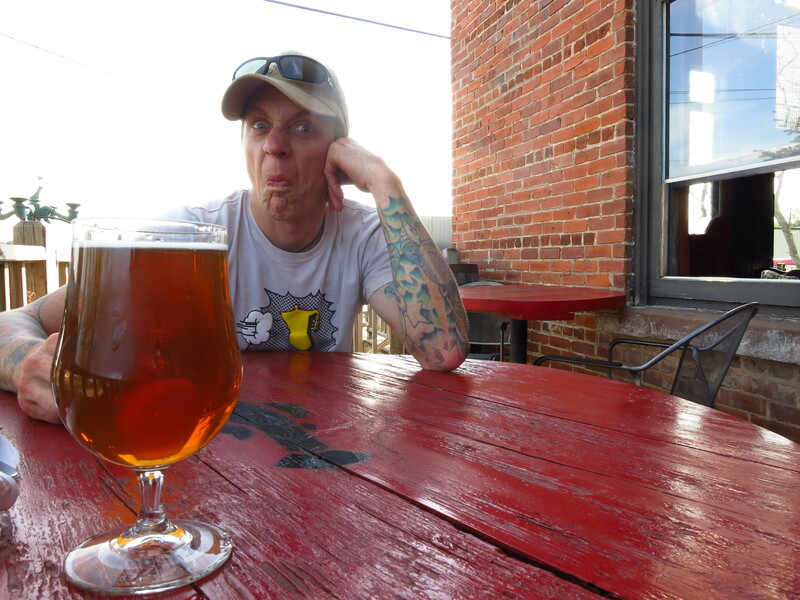 The Angry Minnow, the perfect recovery drink! Mountain biking has become a way for me to become a stronger more adept rider. It’s fun and scary all at the same time. I’m learning more and more skills for my bicycling portfolio. Brian’s motivation is that this is going to make him a stronger Cyclocross racer. 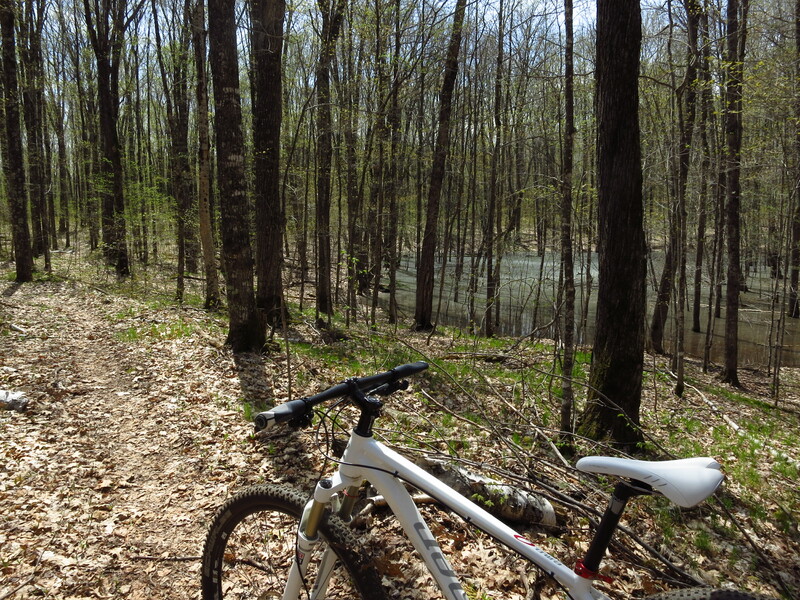 Plus it is a great way to be out and active, there are nice trails within 10 minutes from my home. Making it almost impossible not to want to go riding. 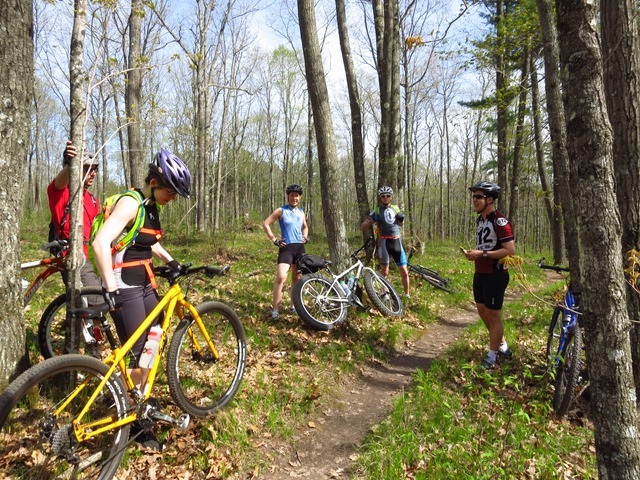 Mountain biking is also a great way to mentally and physically prepare for our up coming Patagonia trip, which has starting to gain even more interest among some of our friends. I think so far there is a total of six of of us that are seriously ready and willing for this new adventure. I’m excited and happy to find a whole new way for Brain and I to enjoy cycling even more. Although it does make me wish for mountains! It’s nice to hear from the two of you, we miss it there in Montpellier an we also miss you as well. Everything is going good right now, our plans still have us going to South America at the end of December, although the schedule has changed a bit. 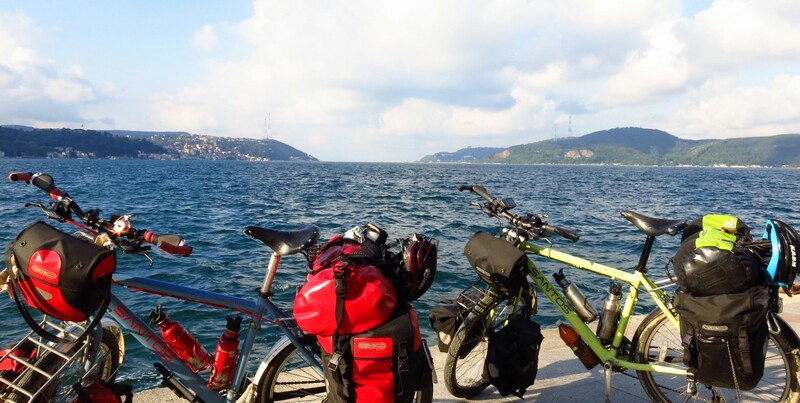 Instead of bicycle touring we will be taking our mountain bikes to Chili and renting a camper van, so that we can ride around and find trails for our bikes and leave the tarmac for the vehicles. I am super excited to try out something new while traveling and the two of you are welcome to come join us if you want.